We continue to receive inquiries that indicate there may be some confusion about when payment must be made for records obtained by administrative subpoena. 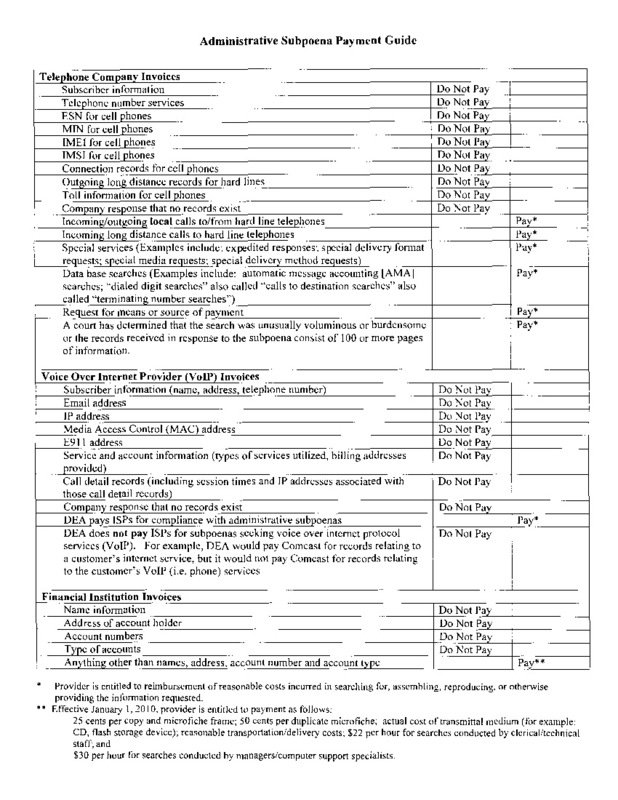 This memorandum summarizes the basic payment principles. Title 21 U.S.C. § 876 authorizes the use of administrative subpoenas to obtain information relating to Title 21 investigations. DEA is under no obligation to pay for information provided in response to its issuance of an administrative subpoena unless a separate Federal statute or regulation specifically states that reimbursement is required. 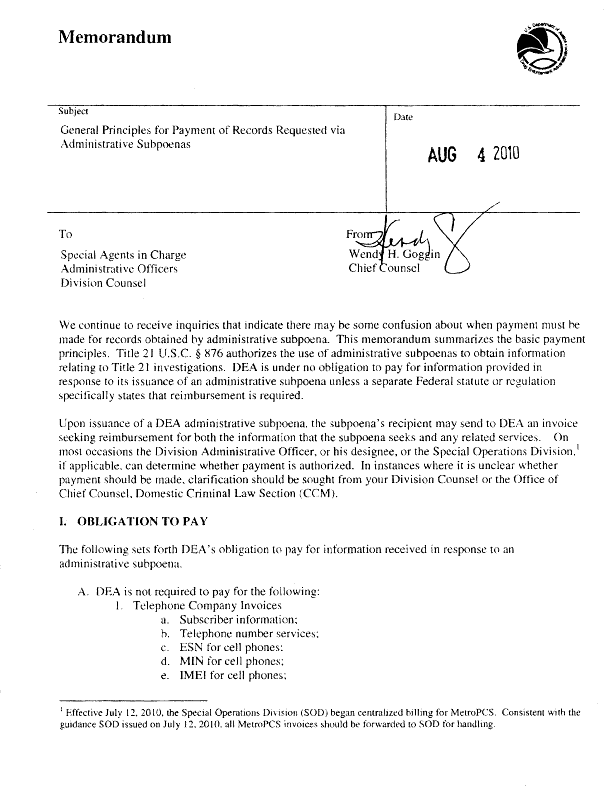 Upon issuance of a DEA administrative subpoena, the subpoena’s recipient may send to DEA an invoice seeking reimbursement for both the information that the subpoena seeks and any related services. On most occasions the Division Administrative Officer, or his designee, or the Special Operations Division, if applicable, can determine whether payment is authorized. In instances where it is unclear whether payment should be made, clarification should be sought from your Division Counsel or the Office of Chief Counsel. Domestic Criminal Law Section (CCM ).